The New York Times is known for its (usually) superb obituary section, which is far from the hastily written back-page blurbs of your town's local paper. The obituaries read more like short stories, impeccably crafted and well-balanced. That's why The New York Times' Michael Brown obituary is a bit of a head-scratcher; it tries to paint the 18-year-old shooting victim as, I quote, "no angel." Is this what you say when you're writing about the teenage victim of a police shooting — a teenager who never had a criminal record, just graduated high school, and was, up until his death on August 9, just a normal kid living in Ferguson, Missouri? The profile begins with an apparently positive anecdote that has some Shirley Jackson-esque overtones. Between gray clouds in the sky, Brown sees an angel being chased by the devil. The angel, however, escapes, "running into the face of God." It was 1 a.m. and Michael Brown Jr. called his father, his voice trembling. He had seen something overpowering. The Times uses this as a trite set-up for the last few weeks of Brown's life: a young man caught between the proverbial angel and devil on your shoulders. Except, The Times seems to take this narrative a bit too far. Michael Brown, 18, due to be buried on Monday, was no angel, with public records and interviews with friends and family revealing both problems and promise in his young life. Okay, sure: None of us are angels. Even Catholic nuns sin sometimes. But let's count the ways, New York Times, in which Brown is "no angel." According to The Times, if you live in a "rough" community, you're automatically out of candidacy for sainthood. Here's the full line. He lived in a community that had rough patches. 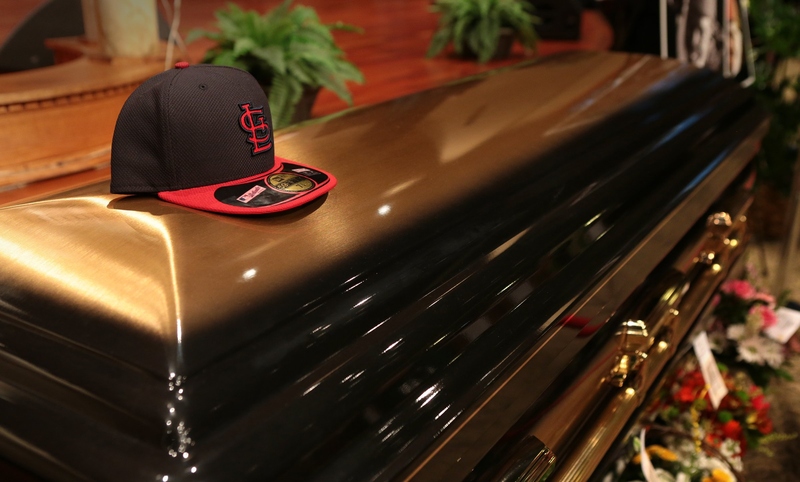 Michael Brown allegedly smoked weed on occasion. He also sometimes drank alcohol. He was 18 years old. The Times still thinks this is important to note several times over. He dabbled in drugs and alcohol.He occasionally smoked marijuana and drank alcohol. He had taken to rapping in recent months, producing lyrics that were by turns contemplative and vulgar.Mr. Brown, who constantly wore his Beats by Dre headphones, also was a big fan of rap music. And within the past year, he began producing rap songs with friends. He collaborated on songs that included lyrics such as “My favorite part is when the bodies hit the ground.” But he also derided fathers who “don’t pay child support” and rapped glowingly about his stepmother. He got into at least one scuffle with a neighbor. Mr. Lewis said he recalled Mr. Brown getting into one fight. A contemporary they knew from the neighborhood was upset with Mr. Brown because of something Mr. Brown had said to the young man’s girlfriend. So one day the fellow, who was much smaller than Mr. Brown, took a swing at him. Mr. Brown backed up and pushed him back in the face.Mr. Brown rarely got into physical confrontations, Mr. Lewis said, because he was so big that nobody really wanted to test him. Once, someone in high school accused Brown of stealing an iPod. He didn't steal it, but The Times felt this was important to include in the article about his life. The New York Times does include some positive details about Brown, such as how he worked hard to graduate high school on time. The obituary included this great quote, which provides a flip side to Brown's current public persona. “It seemed like Mike was probably the person that was the most serious in that class about getting out of Normandy, about graduating,” said Terrence Hamilton, the Normandy athletic director. Unfortunately, this quote is so buried that you might miss it in the obituary altogether. Why couldn't The Times focus on this aspect of Brown instead? Maybe because weed, booze, and rap make for better talking points.